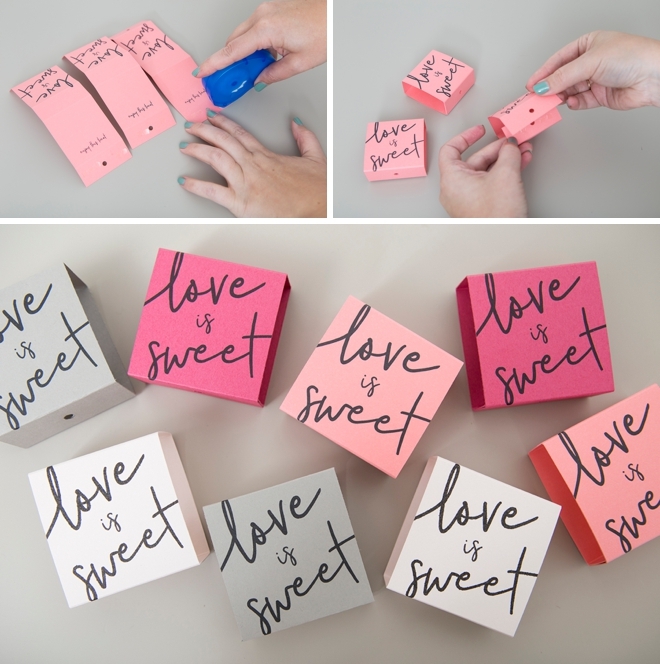 These "Love Is Sweet" Printable Macaron Boxes Are The Cutest! 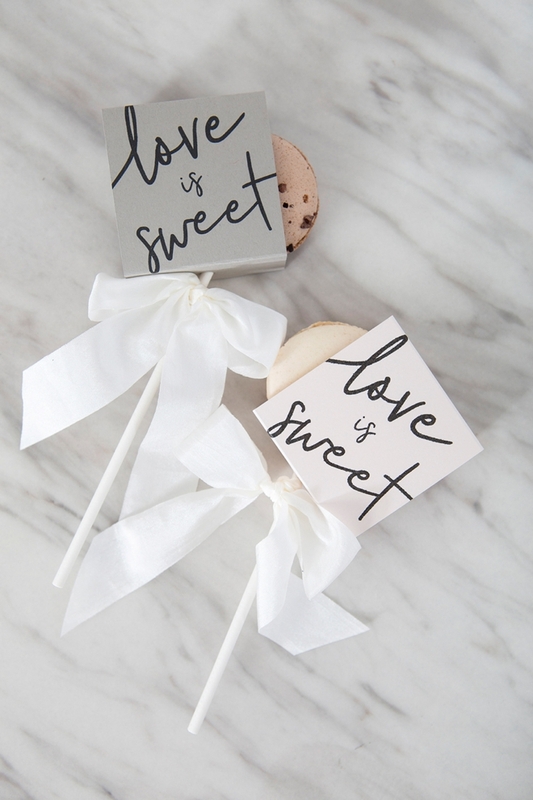 Love is sweet… and so are these adorable “macaron pops”! 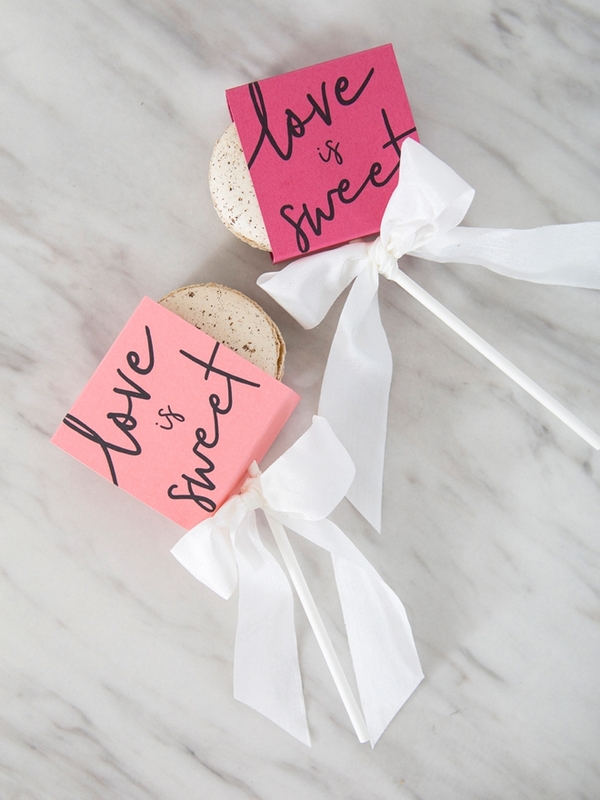 With some cardstock, lollipop sticks, and our darling printable design you can turn everyone’s favorite dessert, the macaron, into the most adorable bridal shower or wedding favors. 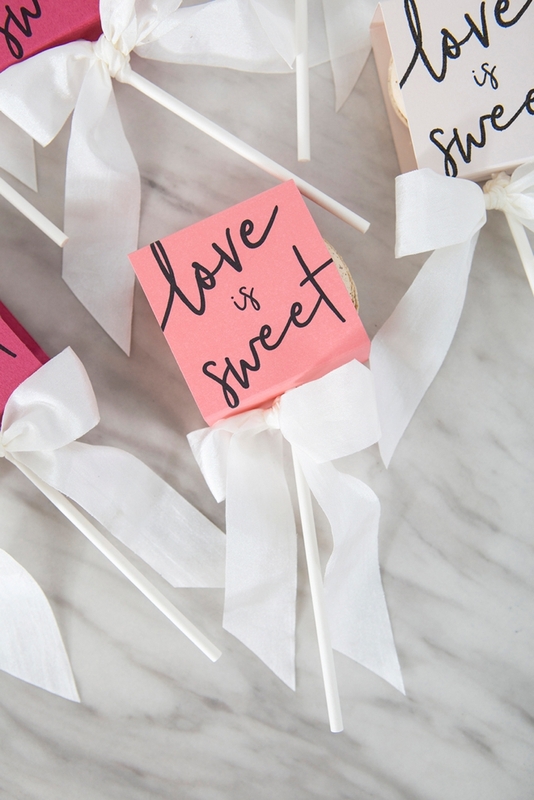 This is a quick and inexpensive way to package those ultra sweet treats, and the presentation will surely get a WOW from your guests. 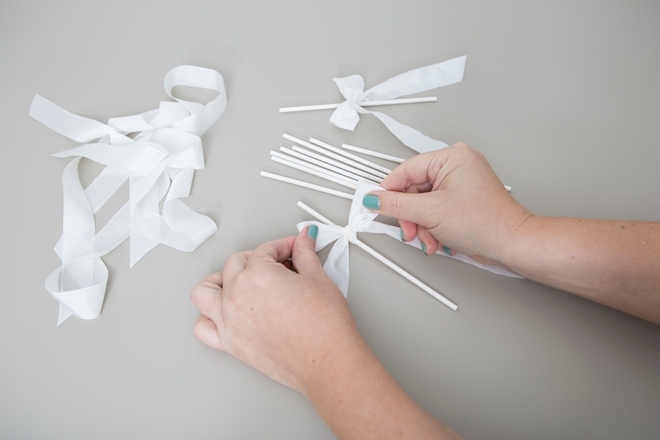 The simple paper and ribbon choice will make this idea perfectly match your special event! 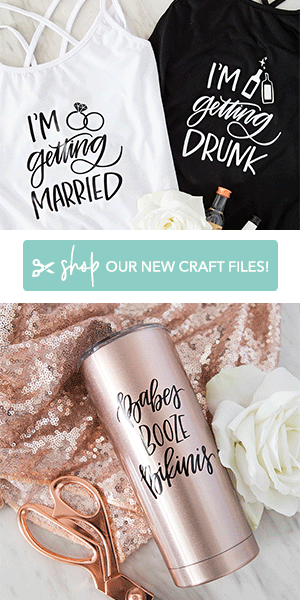 In thinking of planning this favor for your event, it would be best to assemble them the morning of, at the spot where you’re giving them out. 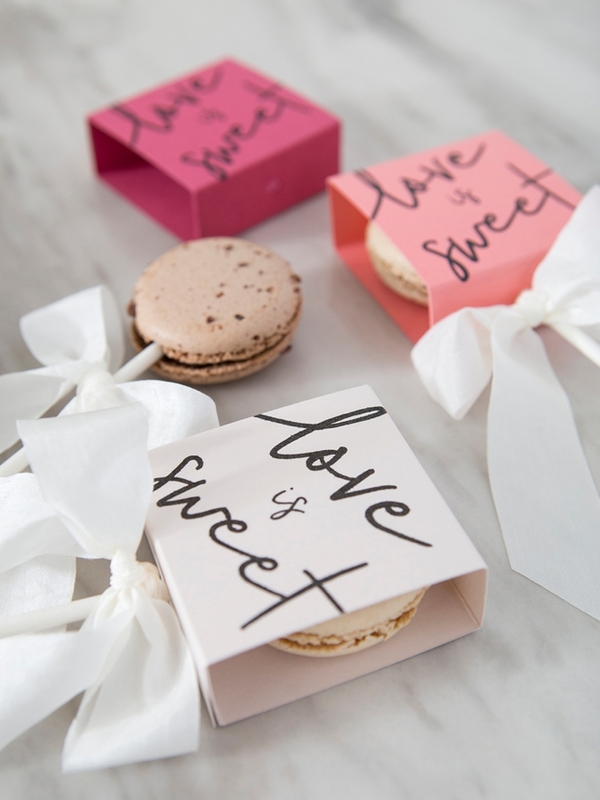 You can assemble the boxes and tie the bows beforehand, but waiting to add the macarons till the last minute will ensure their freshness and safety! 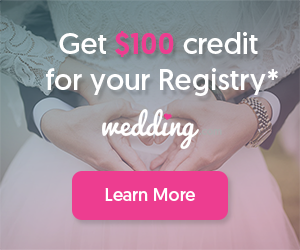 Download our free design at the end of the post and print onto your choice of 8.5″ x 11″ cardstock. Use a scoring board to score the four dark gray lines on the printable, this makes it super easy to fold. 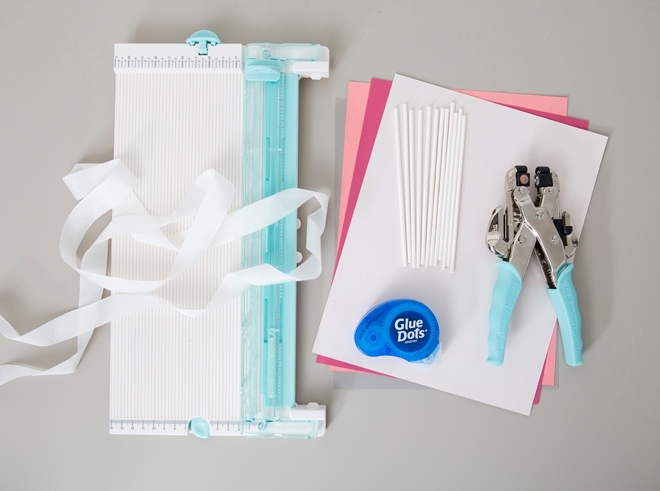 The board I’m using is a paper trimmer and scoring board all in one! 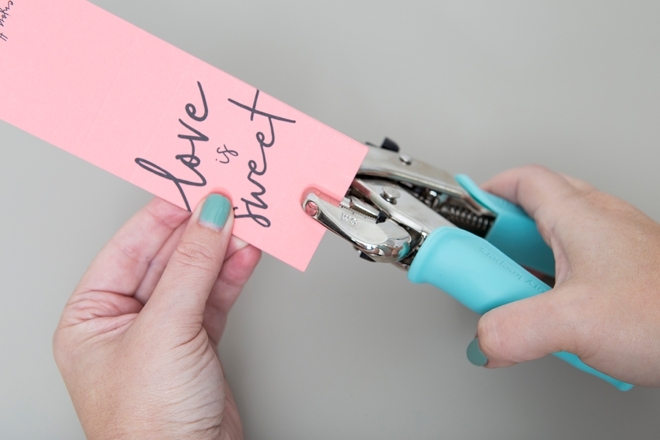 Then trim each card using a paper trimmer or scissors, there are three per sheet. 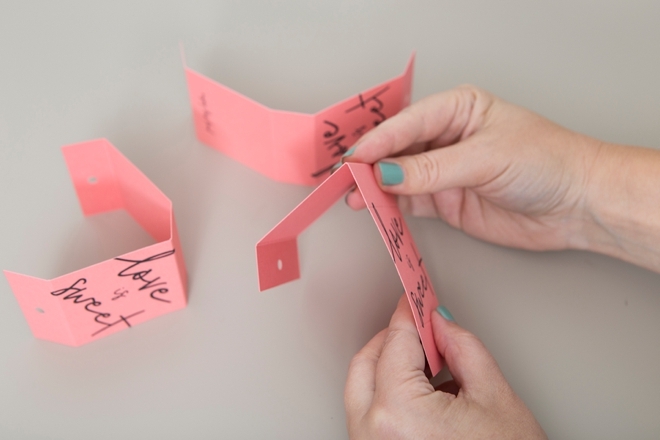 Add a few glue dots to either side of one of the flaps with the hole punch and fold to assemble and secure, so cute! 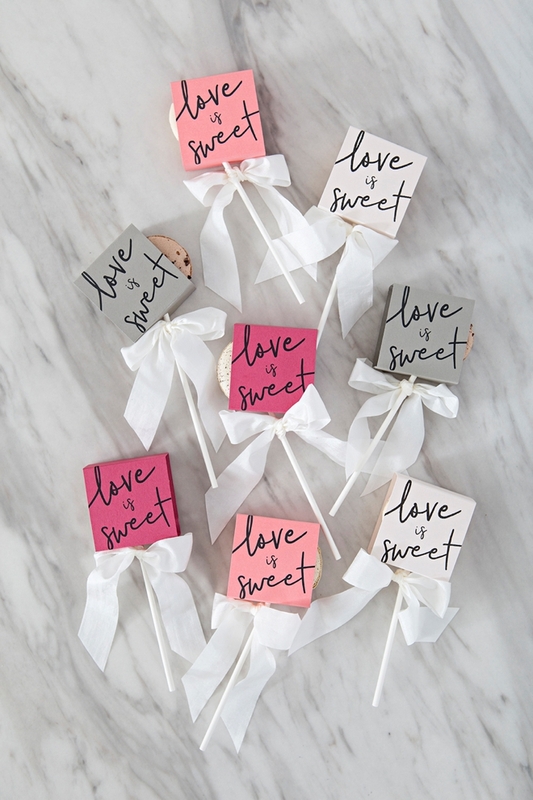 If you’re going to add bows to each lollipop stick, it’s easier to do this before you stick it in the macaron. 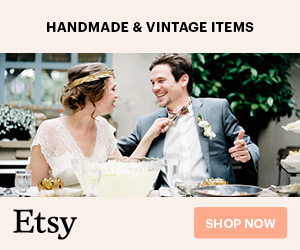 I used 18″ of ribbon. 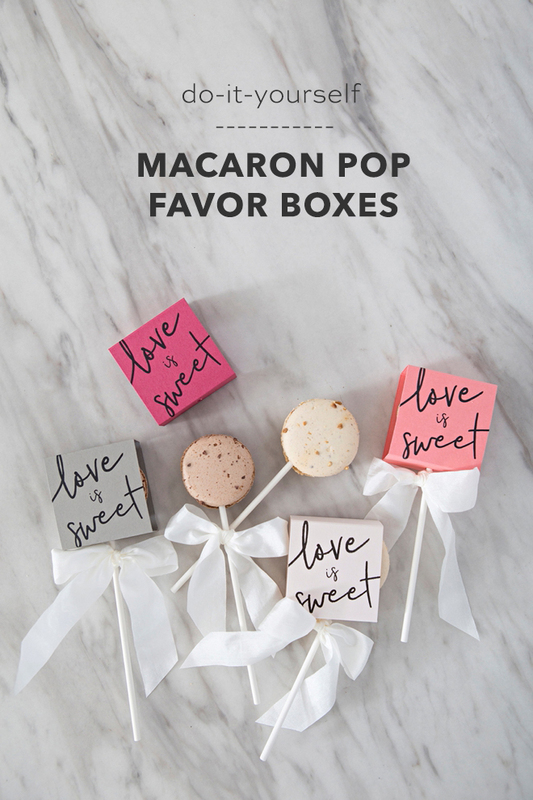 This step turns your macaron into a pop and finishes your favor, all in one! Slip the macaron inside the box. Holding it carefully, insert the lollipop stick through the hole in the bottom of the box and then into the frosting part of the macaron. Push the bow into place and your favor is complete!